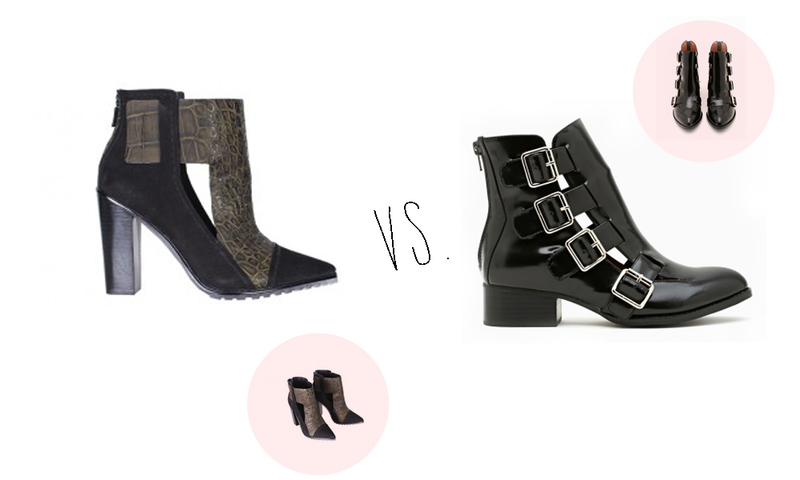 Both of these boots are a must on my wishlist! I love the current trend of pointed toe shoes with a point that looks like it belongs on wizard shoes. The boots on the left are Tibi Perla boots in olive and the style on the right is from Nasty Gal's July Lookbook- Evermore buckled boots. Tibi is quickly becoming my favorite shoe brand.